Deep in the mists of time, the beginnings of the history of Naxos Town (Chora) are intertwined with mythical beings, legends and heroes that are later succeeded by distinct eras: Mycenean, Roman, Byzantine and the periods of Venetian and Ottoman occupations. 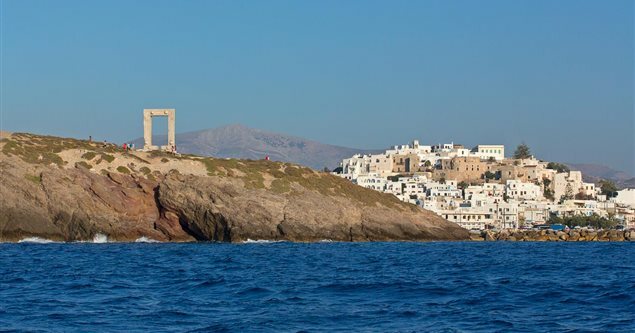 One glimpse of Naxos Town-Chora’s past is given by the archaeological site of the Mycenean city of Grotta – large parts of which are submerged in the sea or lie under the built-up northern section of the town. 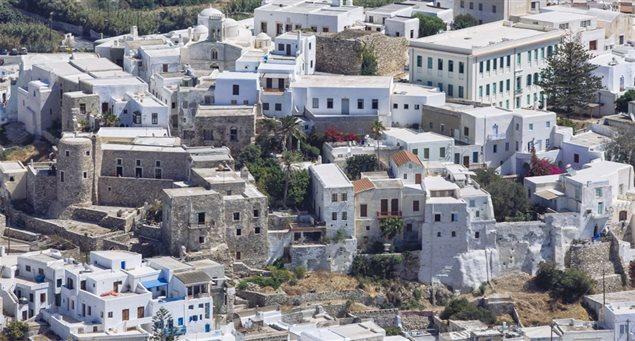 Equally rich is Naxos Town-Chora’s medieval history, amply indicated by its monuments and neighborhoods from Kastro to Bourgos. It has all the services needed by the visitor and its shops supply all the local products, items of folk art (fabrics, baskets, ceramics) and jewelry, while its restaurants feature the broadly varied local cuisine. 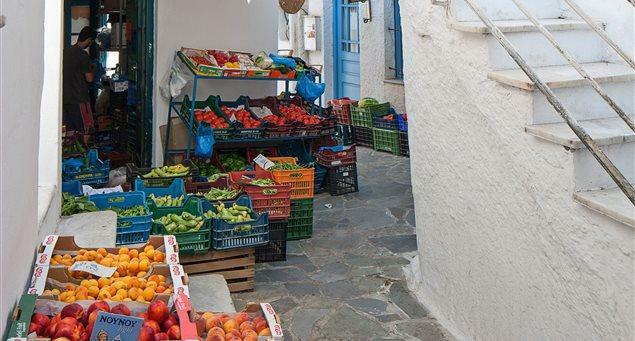 It is not surprising that Naxos Town-Chora is one of the favorite towns for visitors in the Cyclades.